Last year we saw a major shakeup with the Allstate Sugar Bowl Crescent City Classic 10K. While it was the second year with a new title sponsor and new race ownership, it was the first year of a brand new course and near-flawless corralling system at the start. For the 2014 installment, things have evolved further. As the race grows, things are changing to make this the best 10K in the south. Speaking of growing, registration numbers continue to grow year after year. Last year’s race had over 23,000 participants. This year, Race Director Eric Stuart estimates that the number will grow to over 25,000. The Classic is expected to reach participant capacity with 30,000 runners by 2016. That rivals the size of the biggest running events in the country! 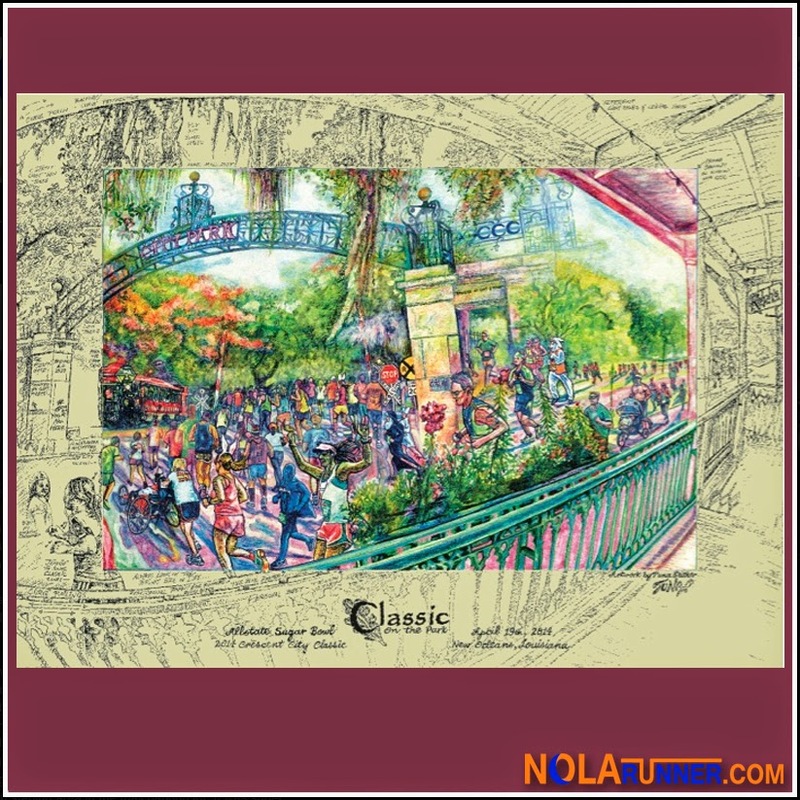 For the first time in 2014, the Classic partnered with various New Orleans hotels to offer participants discounted room rates. The full list of hotels can be found HERE. Opportunities like this will make the Classic a destination race for runners from across the country, bringing New Orleans huge tourism dollars in the future. I've yet to make it to the Health & Fitness Expo at the Hyatt New Orleans, but everything I've seen on social media proves that it's grown this year. Vendors include local merchants showcasing their products, plus countless races offering information and discount codes for their events. A few highlights I've seen include booths from area races I've run, the Baton Rouge Beach Marathon, the Louisiana Marathon, plus New Orleans Running Systems and The New Orleans Track Club. The expo is open until 8pm today, and it's also your last chance to get registered for the race! The elite field for the 36th running of the Classic includes last year's defending champion, Isiah Koech. Seeded right next to him is the owner of the world record time in both the 10K and 15K road race distances, Leonard Patrick Komon. There's sure to be some fast times on the streets of New Orleans tomorrow! One of the long standing traditions of the Crescent City Classic is the Top-500 awards. The system for bestowing this honor has evolved over the years, and implications from the Classic's website and video all point to another tweak for this year's event. The CCC10K Facebook page confirmed in February that the Top-500 Male AND Top-500 Female finishers will each receive a commemorative poster for their achievement. That's a total of 1,000 posters! If you want a gauge, last year's times to beat became even faster, with the male division cutting off the Top-500 in just over 43 minutes, and women's division in 51 minutes. For those of you thinking you'll be in that Top-500 number, the 2014 poster (pictured above) is by New Orleans artist Tuna Seither. Past race participants will recognize the image as the turn off of City Park Avenue in to the welcoming shade of the City Park oaks. Several noted local athletes and CCC10K mainstays can be spotted in the field, including the Easter Bunny sporting his orange LRC singlet. If you want to secure one of these prints to hang on your wall, but want to take the race at a leisurely pace, they are available for purchase HERE. While this last change doesn't increase the odds of me reaching my goal to be in the Top-500, a new tradition started in 2013 continues this year. All finishers of the race will receive a unique Crescent City Classic 10K medal after crossing the line in City Park. I expect to see people wearing their medals everywhere throughout the day as I participate in pre-Easter festivities. Best of luck tomorrow to all participants in the Allstate Sugar Bowl Crescent City Classic 10K. I'll be participating as a runner, but will have camera in-hand to capture the day's events. Like NOLArunner HERE on Facebook and follow me on Twitter (@NOLArunner1) to see updates and photos throughout the morning, and read the recap coming Monday!